The U.S. economy has grown significantly in the last few years, and the government is projected to realize $6.44 trillion in revenue for the fiscal year 2019. During the fiscal year 2018, the government took in total revenues of $6.27 trillion, where $1.60 trillion of that amount was in the form of income taxes. 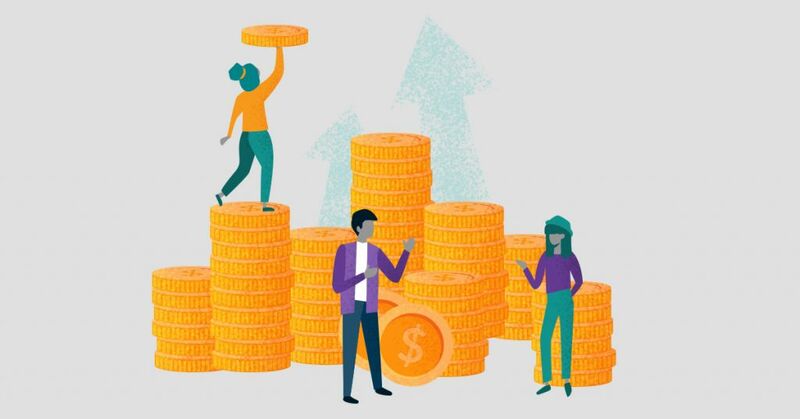 To try to retain employees in a growing economy that boasts a low unemployment rate of 3.7 percent, many employers offer 401k plans so that their employees can save for retirement. In 2017, the average account balance in the U.S. was $103,000. However, the median balance in these accounts was only $26,331, which indicates many workers need to save a lot more money to be ready for retirement. Fewer workers today remain at the same workplaces throughout their lives. Data from the Bureau of Labor Statistics (BLS) indicates that the average worker will change jobs approximately 12 times during their careers. If the workers have taken advantage of plans that were offered by each employer, this means that they might have numerous accounts that they have left behind with their former employers. Employees do not have to leave their account balances with their former employers. Instead, they can complete 401k rollovers and convert a 401k to a Roth IRA so that they can keep all of their savings in a single retirement account. There are several reasons why you should convert a 401k to a Roth IRA. When you convert a 401k to a Roth IRA, it can help you keep track of your investments as well as to prevent you from forgetting some of your older accounts. Leaving your accounts behind also can subject people to higher fees and fewer investment choices, which can impact the amount of savings that they have for their retirement years. A 401k rollover can help you to avoid these issues. What is a 401k? Many employers offer 401k plans as a benefit to their workers. The employers sponsor these plans, and most are covered by ERISA rules and protections. Employees are able to decide how much to contribute to their plans out of their paychecks. When they leave their jobs for new opportunities, they can choose to leave the money behind or to complete 401k rollovers. Some employers offer matching funds up to a certain percentage. For example, an employer might offer to match an employee’s contributions up to 5 percent of the employee’s annual income. If the employee has an annual income of $100,000, the employer will then match up to $5,000 of the employee’s contributions. This means that if the employee saves the maximum contribution limit of $19,000, the employer will match the first $5,000 for a total savings of $24,000. Employers who offer matching contributions often have vesting rules. These rules require that the employees remain on the job for a certain number of years before the matching contributions will vest. If the employee leaves his or her job before the funds have vested, he or she will not receive the employer contributions. 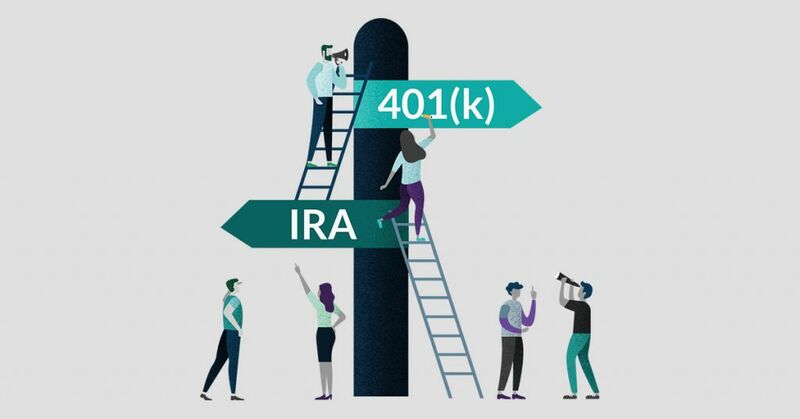 The options that are still available are to transfer the 401k contributions elsewhere, convert a 401k to a Roth IRA or to leave the account with the former employer’s plan. The best choice is usually to convert a 401k rather than leaving your money behind in your former employer’s plan. In 2019, the 401k rules and limits allow workers to contribute up to a maximum of $19,000 into their 401k plans. These 401k rules and limits are an increase from the $18,500 that was allowed in 2018. In addition to the contribution limits, there are several other 401k rules and limits that you should know. Under the 401k rules and limits, your employer’s matching contributions may not vest immediately, however your own contributions do. Most plans allow employees to borrow against their account balances, but this is not always a good idea. Early withdrawals, other than hardship withdrawals, are not allowed before you reach age 59 1/2. If you do withdraw money from your account before you reach that age, you will face a 10 percent early withdrawal penalty on the amount that you withdraw. However, you can rollover a 401k to an IRA without being penalized if you do it in the right way. To rollover a 401k correctly, you will need to make certain that the funds are sent directly to your new employer’s plan or to your new IRA account instead of having the funds issued directly to you. If you have the funds issued to you directly, you must fund a new account with them to avoid a penalty within 60 days. If you do not, you will be penalized even if you later deposit the money into a new retirement account. What does it mean to rollover a 401k? Rolling over a 401k refers to when an employee leaves a company and chooses to transfer his or her account balance into a new retirement account instead of leaving it with the former employer’s plan. This is called a 401k rollover. People who leave their jobs have several options for what to do with their 401k balances. Employees can choose to leave their 401k plans with their former employers, but this is not a very good idea for a few reasons. They may also choose to have the funds paid to them directly, send the funds to their new employer’s 401k plan if allowed, or convert a 401k to a Roth IRA or a traditional IRA. Understanding what is a Roth IRA and what is an IRA can help you to decide which account is right for you. There are several reasons why you should convert a 401k to a Roth IRA or to convert a 401k to a traditional IRA instead of leaving your account behind. With people changing jobs so many times during their working careers, leaving their various accounts behind can make tracking their investments and savings difficult. Some people even forget about some of their old accounts. When you convert a 401k, it solves these problems. People who leave their 401k account balances with their former employers’ plans may also have to pay high plan administration fees. These costs can eat away at their balances so that they do not grow as much as they otherwise would. Finally, 401k plans are normally very limited as far as the investment options. Most only contain 20 or fewer investment choices. 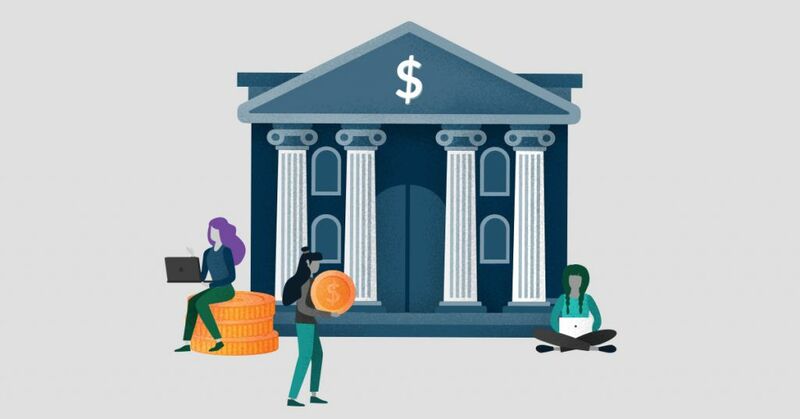 When you convert a 401k, you can simplify how you track your savings while also enjoying fewer fees and the ability to grow your savings much faster. Can you to convert 401k to Roth IRA? Before the passage of the Pension Protection Act (PPA) of 2006, employees could not convert a 401k to a Roth IRA directly. Instead, they would have to open traditional IRAs and rollover their balances into them in order to convert a 401k to a Roth IRA. Then, they would have to convert the traditional IRAs to Roth accounts. The IRS issued new Roth IRA rules under the PPA to explain how to convert a 401k to a Roth IRA without having to go through a multi-step process. You are now allowed to convert a 401k to a Roth IRA directly. Can you to convert 401k to Roth IRA? The answer is now yes, you can have your old plan send your balance to a new brokerage. In order to do so, however, you must understand how to convert a 401k to Roth IRA in the right way. Learning how to convert a 401k to Roth IRA can help you to avoid penalties and a 20 percent withholding. How to convert a 401k to Roth IRA involves you initiating a direct transfer of the funds to your new Roth account. You will first need to choose your brokerage and to open a Roth account. Next, you will need to complete some documentation and give it to your former plan’s administrator to have the funds transferred directly from your old plan into the new Roth IRA account. Your old plan’s administrator will then issue a check to your new brokerage firm to fund your Roth IRA. This basic process is how to convert a 401k to Roth IRA. Now that you know how to convert a 401k to Roth IRA, you should consider whether it makes sense to convert a 401k to a Roth IRA or if you should instead rollover your employer-sponsored retirement account into another type of savings account such as a traditional IRA. To rollover 401k to Roth IRA, you will need to meet the income limits. The earnings that you make and your eventual withdrawals from the account will not be taxed. Roth IRAs are a good choice for you if you will not need to make any withdrawals within the next five years, do not need to take tax deductions for your contributions, and can wait until you are past the age of 59 1/2 to make withdrawals. A traditional IRA is a type of retirement savings account that you can set up through a brokerage. Unlike Roth IRAs, the contributions that you make to traditional IRAs are tax-deductible. People who are younger than age 70 1/2 can contribute to traditional IRAs regardless of their incomes. When you begin taking distributions from your traditional IRA after you retire, you will be taxed on your distributions at your ordinary income tax rate. Traditional IRA distributions are required once you reach age 70 1/2. In 2019, the contribution limits for a traditional IRA or a Roth IRA are $6,000 if you are under age 50 or $7,000 if you are older. However, when you rollover a 401k, the contribution limits do not apply to that amount. A Roth IRA is a type of retirement account that does not give you tax breaks during the current year. However, a Roth IRA will provide you with tax savings in the future when you make distributions because they will be tax-free. If you have a Roth IRA, you will be able to continue making contributions past the age of 70 1/2, and you will also not be required to begin taking distributions when you reach that age. The Roth IRA rules are different than the rules for traditional IRAs. The contributions that you make to a Roth IRA cannot be deducted on your state or federal taxes. Unlike traditional IRAs, there are no rules that require you to take distributions during your lifetime. The Roth IRA rules allow you to withdraw your savings at any time. However, you cannot withdraw any earnings that you have made before you reach age 59 1/2 or you will have to pay a penalty. After you reach age 59 1/2, you will be able to take qualified distributions from your Roth IRA penalty-free. Finally, the Roth IRA rules include some income limits. M1 Finance offers both traditional and Roth IRAs and charges no commissions or management fees, so you can get more from your money. 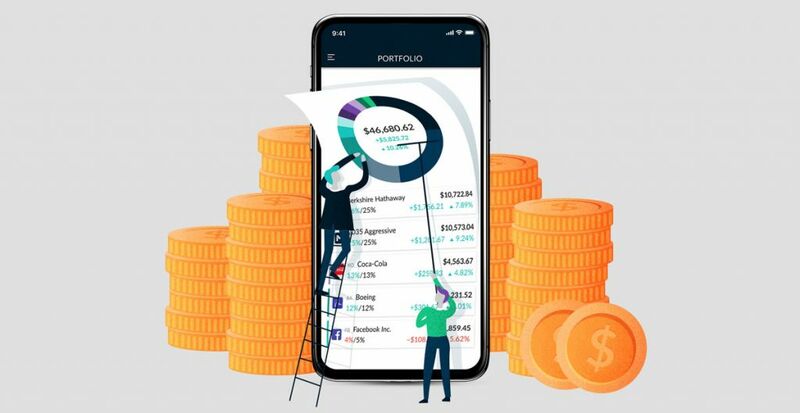 Just choose the stocks and funds you wish to invest in to build a completely custom portfolio, or choose from nearly 100 expert portfolios tailored to your risk tolerance and time horizon. Each investment that you choose is counted as a slice of an investment pie. You can choose the weight of each slice according to the level of risk that you want. Your investments are automatically rebalanced to help you to enjoy greater efficiency and more tax savings. You can set up a direct rollover of your employer-sponsored retirement plan to your new account at M1 Finance. M1 Finance has been recognized as a top investment platform by multiple national finance publications. The company offers digital investing tools that allow you to grow your money automatically while also helping you to minimize the taxes that you might face. M1 Finance does not charge any commissions or management fees. This can help you to grow your money faster so that you might have thousands of additional dollars by the time that you reach retirement age. To learn more about M1 Finance, call us at 888-714-6674. You can also get started now by filling out our online form.